A view along a section of Canal leading to the Quay (Docks) of the Kymer Canal. The 3 mile long canal was built between 1766 and 1768 to transport coal from Thomas Kymers coal pits near Carway . 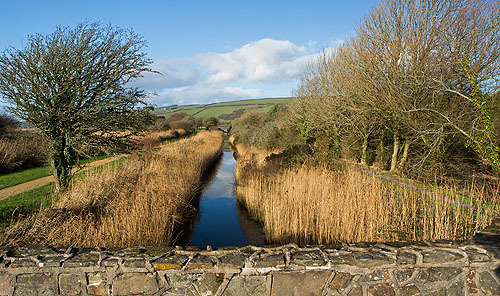 Inspite of problems caused by the silting of the estuary , which lead to the demise of Kidwelly as a major Port , the canal continued to be used until the 1920's.